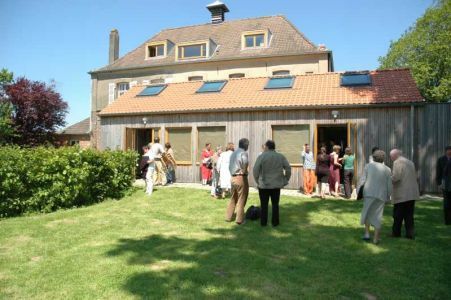 Renovated using entirely eco-friendly materials and using renewable energy. Situated on the first floor of the 'Sensible' House, our Family Gîte sleeps 6 to 8 people and is suitable for short or long stays. It has been renovated along eco-friendly lines, using materials and techniques which respect the environment. A traditional group gîte at the source of the river Lys. 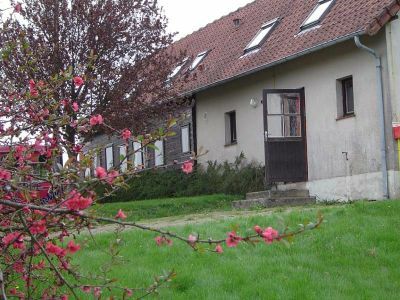 A former farm awaits you in the village of Lisbourg where the River Lys has its source. It has been approved as accommodation suitable for children. To make your walk easier - our long-eared companions carry all your bags and baggage. 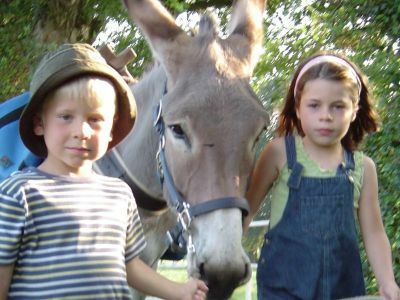 Take advantage of a stay in our gîtes - and go for a walk in the company of donkeys. We can prepare an itinerary for you which is perfecty suited to your group and your interests. For those with reduced mobility, we have donkey-drawn carriages which will allow everyone to participate in and experience fully the joys and pleasures of the walk.